Architect Paul Pholeros is determined to help locals in Nepal rebuild their homes and lives after May’s devastating earthquake.After providing immediate shelter for families who had lost almost everything, Paul and his company Healthabitat, along with Rotary Australia, plan to head back to Nepal after the wet season to help build stronger, earthquake resistant homes. 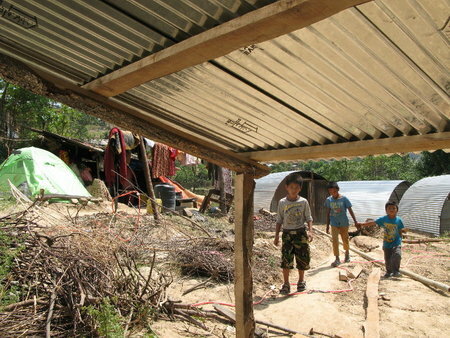 To date, Healthabitat have raised over $80,000 for the construction of new homes for communities devastated by the quake. Thanks to these funds, the Healthhabitat team has been able to develop immediate actions like providing shelter for families before the wet season, restoring sanitation, building places for families to store, prepare and cook food, and supplying personal health items. 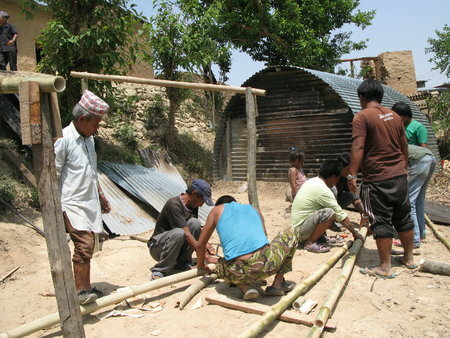 The long term goals for the team in Nepal include the demolition of damaged houses and preparing for rebuilding after the wet season and providing families with technical and financial support to build earthquake resistant homes. Every dollar donated benefits the teams and villagers on the ground. A well-respected architect, and one of our Australian Design Honourees, Paul Pholeros’ work is literally changing lives. After taking up the “ultimate design challenge” of South Australian Elder Yami Lester to help his people stop getting sick, Paul and two colleagues, founded Healthabitat – an organisation that improves living conditions in Indigenous communities. Since the ‘80s, Healthabitat has improved 8000 houses and the health of more than 50,000 Indigenous Australians. Their work has been so successful, other countries are now following suit. Associating housing with health doesn’t seem all that obvious. But to architect Paul Pholeros and the team at Healthabitat, it’s not only obvious but of vital importance. Healthabitat have worked to improve the living environments of Indigenous people in both suburban and remote areas of Australia. It’s a great reminder of what the good of architecture can do! Think your house can’t make you sick? Think again. Architect and co-director of Healthabitat Paul Pholeros has spent the last 30 years improving the living and health conditions of Indigenous communities, fixing problems in over 8,000 homes nationally. 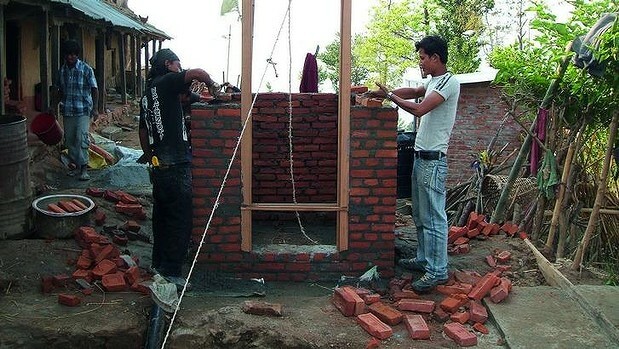 Recognised in Venice at the 2012 architecture biennale, Healthabitat’s program has been emulated around the world. In 2011 it won the World Habitat Award. Using a checklist, Healthabitat tests 250 items in every house, fixing problems as needed. One of the biggest issues? Washing facilities. 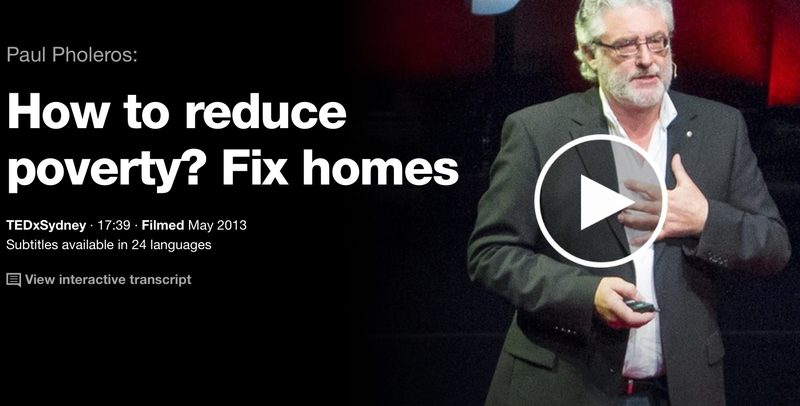 In late-2013, Paul Pholeros spoke passionately at TEDxSydney on the subject of improving health through housing. The key insights: think beyond medicine and fix the local environment. In his sparky, interactive talk, Pholeros describes projects undertaken by Healthabitat, the organization he now runs to help reduce poverty—through practical design fixes—in Australia and beyond. “Stop people getting sick.” This was the brief given to Paul Pholeros, Paul Torzillo and Stephan Rainow when they arrived in Anangu Pitjantjatjara Lands in northwest South Australia in 1985. In response, Pholeros (an architect), Torzillo (a thoracic physician) and Rainow (a public and environmental health officer) designed a methodology to quantify the links between health and housing. 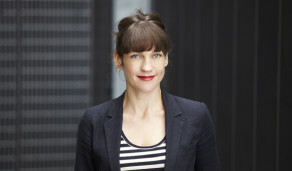 The trio (who met for the first time when they arrived on site) became founding Directors of Healthabitat where they established a methodology that became the ‘Nine Healthy Living Practices’ – principles used to systematically assess and address the living environments of disadvantaged Indigenous communities in remote Australia. 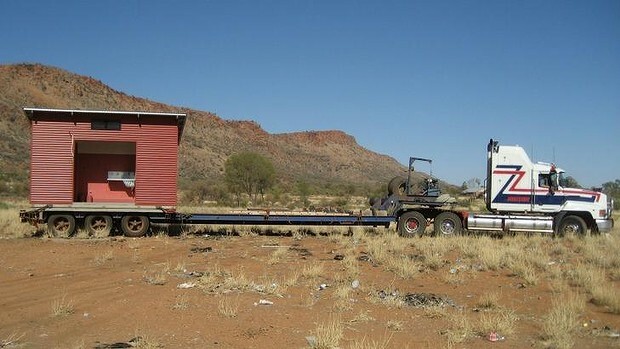 To date, 195 ‘Housing for Health’ projects, based on these principles, have improved 7,829 houses across Australia, with successful projects also underway in rural Nepal and Brooklyn, New York City.